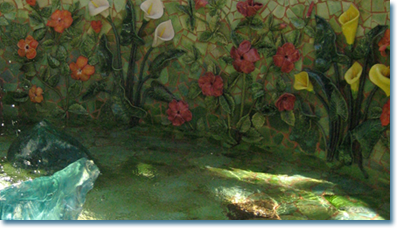 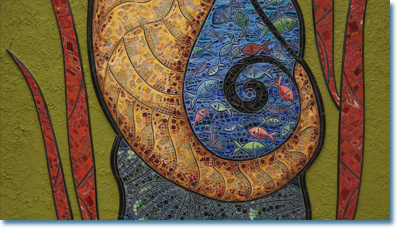 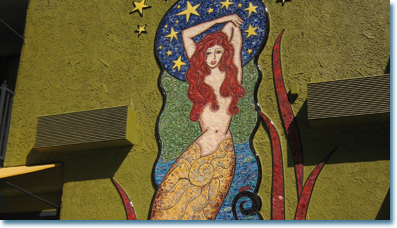 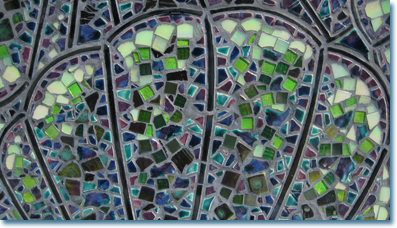 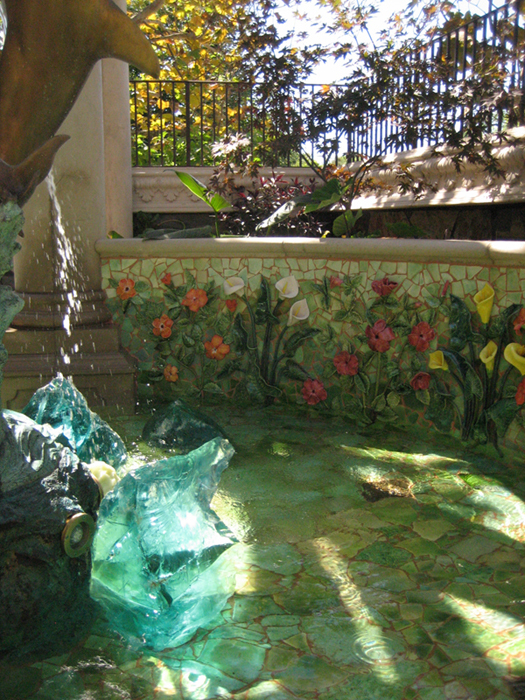 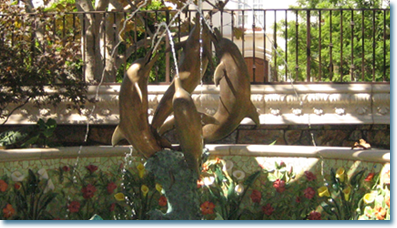 The Mosaic Mermaid at The Inn at Venice Beach � This project is what we call an orchestrated mosaic. 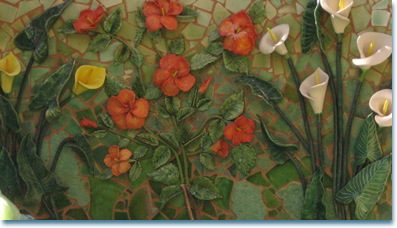 Instead of a classic mosaic made with all small mosaic glass and terrazzo we started with raw clay and made the design in large tiles that fit together like a puzzle with the design etched into the clay. 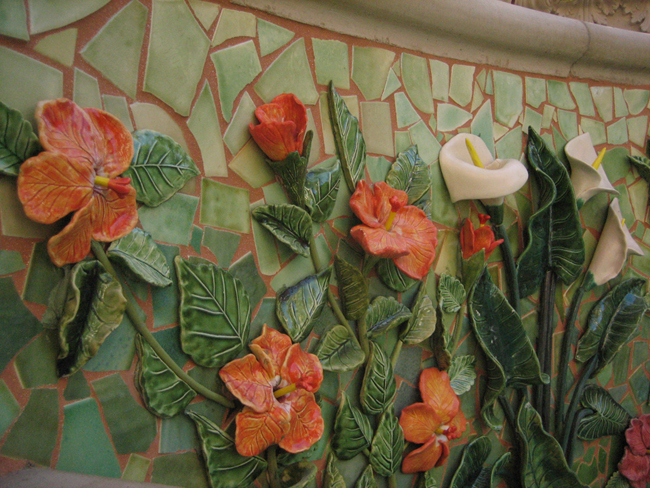 We also etched in fake grout lines to make it all appear as smaller mosaic pieces. 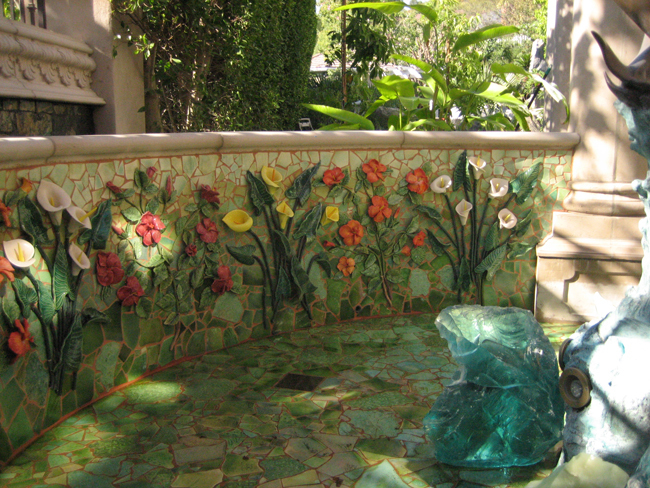 We then cut out parts of those tiles to leave vacant spaces to fill with real glass tiles. 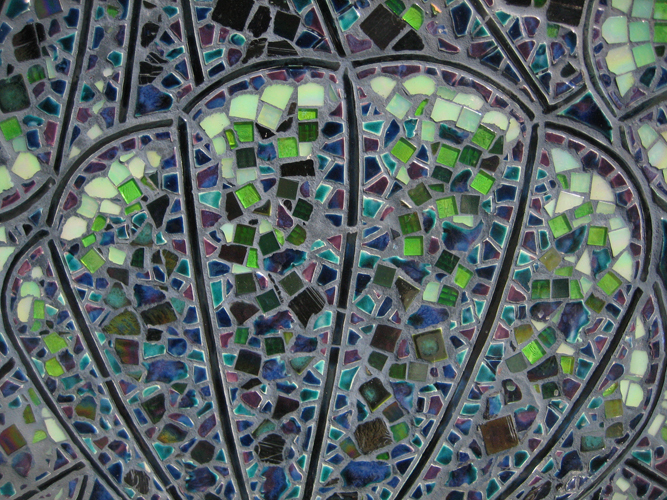 The combination of the orchestrated design and the real mosaic filler creates a unique finish that is classic looking but also has a more contemporary edge to it. 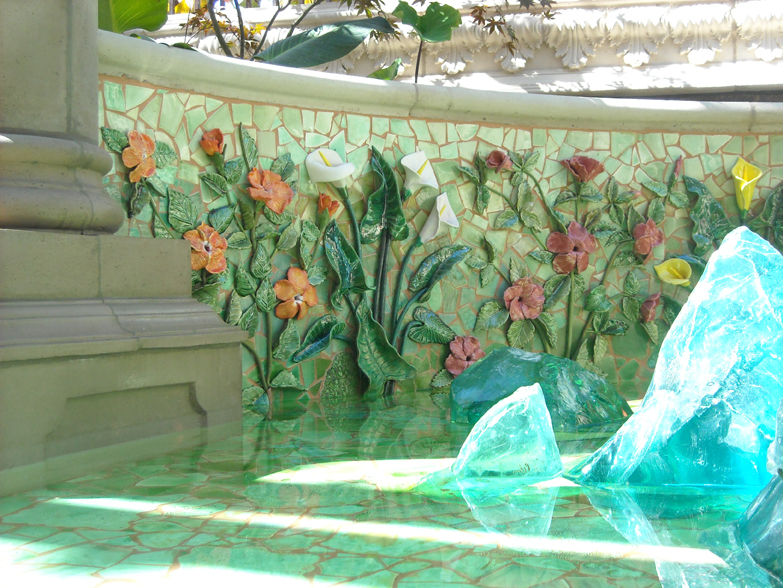 The design flows better and has a more lively appearance. 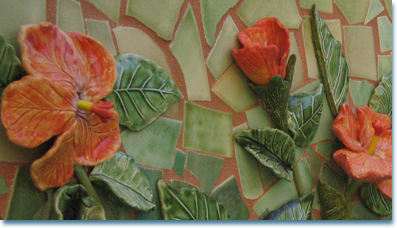 Although it's hard to claim firsts in the world of tile which goes back tens of thousands of years we may have actually "invented" a new technique that may have "never been done before". 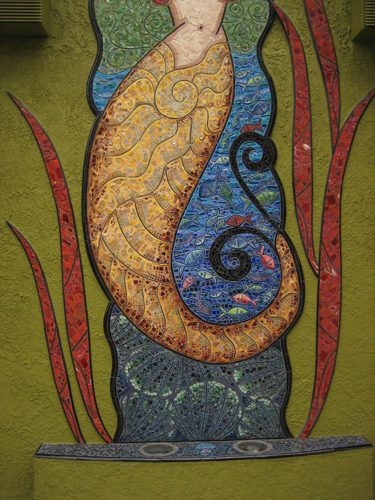 This project was in collaboration with Barbara Larson at LarsonDesigns@cox.net who's fine design was a pleasure as well as a challenge to translate into a large scale tile mural and it needed a new technique to accomplish the look. 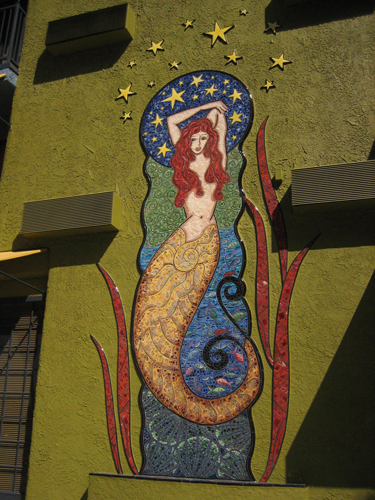 The Mermaid has attracted a lot of attention and The Inn at Venice Beach is very happy with the results. 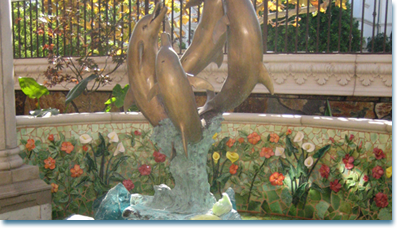 Being on the front of the building it gives people a chance to see it and touch it up close and personal and at 18 feet tall she has a commanding presence. 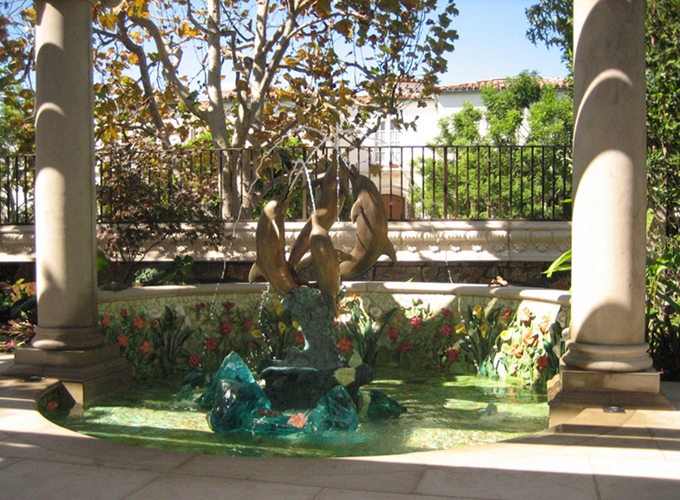 She is now a part of Venice. 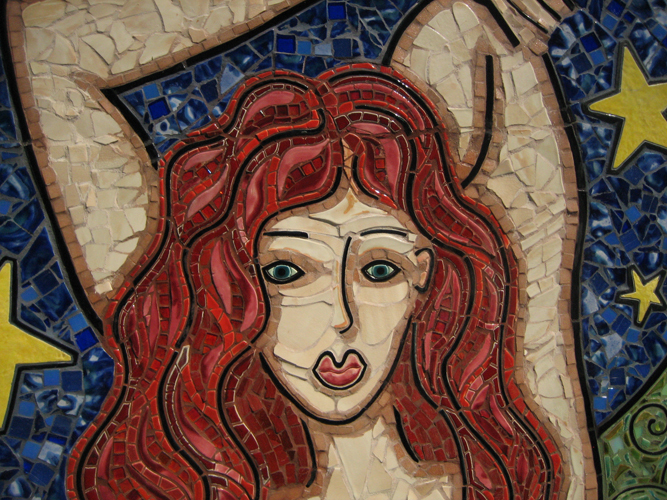 Look for more mosaics through-out the website. 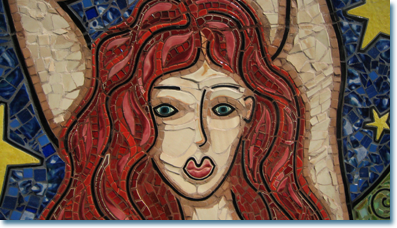 You can see more mosaics through out the website. 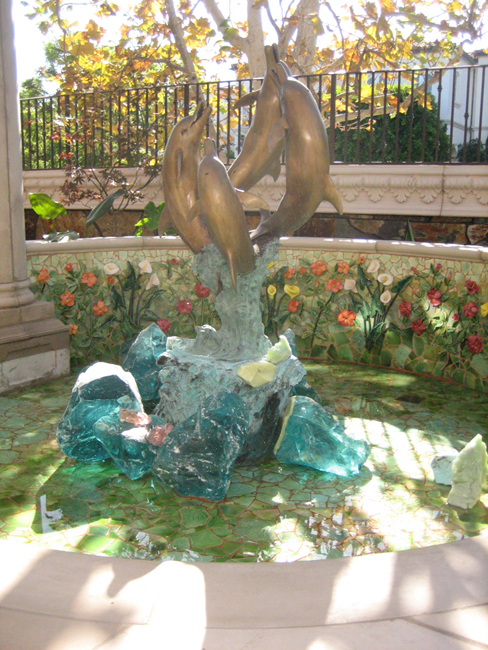 The 3D Floral Fountain - This Floral Fountain was designed with sensual beauty in mind. 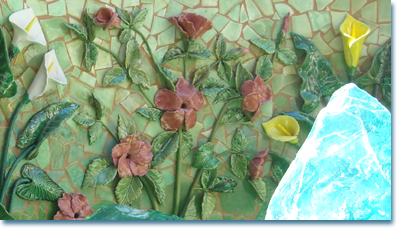 The sculpted flowers are installed on top of a field of mosaic green tiles that sets them off while still looking natural. 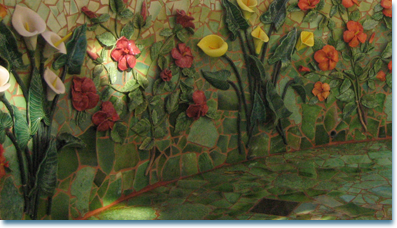 The light bounces off the water and tiles to make for a fantastic feel as the light changes throughout the day. 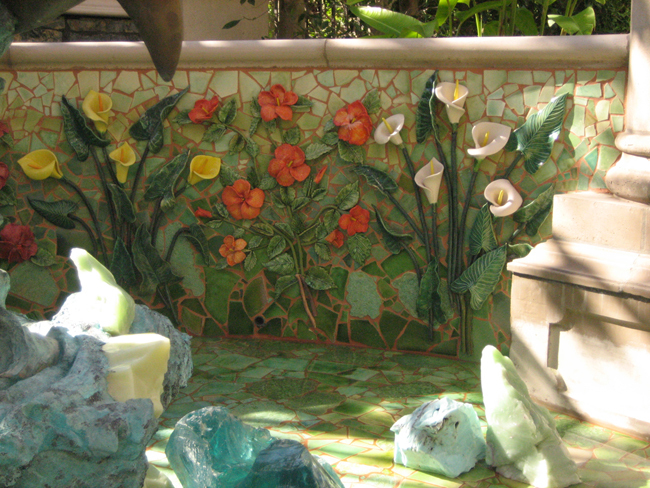 It is a one of a kind and takes our tile to a new level not often seen. 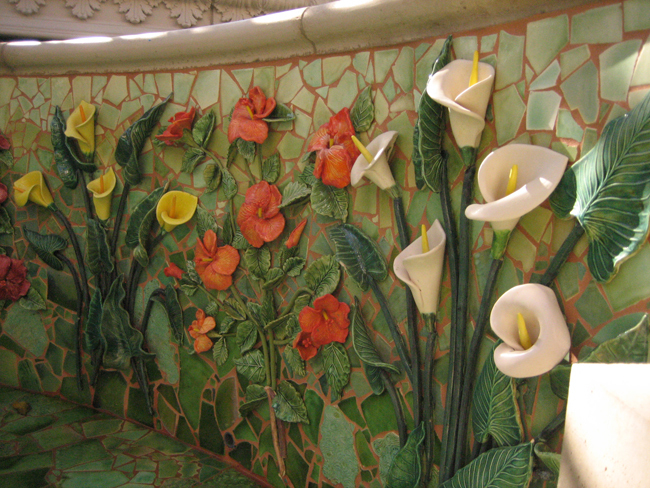 Another example of how well tile works with water and light to bring beauty to your surroundings. 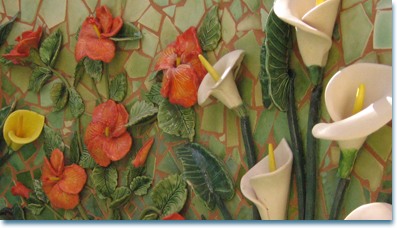 It’s like a flower garden in full bloom.